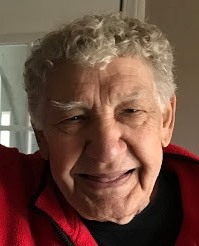 Youngstown…It is with great sadness that the family of James Paul Stankich, 78, announces his passing on January 15, 2019. Funeral services will be held Friday, Jan. 18, 2019, at 6:00 p.m. at the Wasko Funeral Home, officiated by Jim’s son-in-law, Dr. Joshua Reichard. 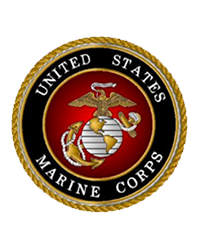 “Jim” was a proud United States Marine Corp veteran, who after basic training and Camp Lejeune, North Carolina, served honorably in Lebanon and Gibraltar from 1957-1960. Politically active, Jim served the Mahoning County Democratic Party in various capacities over the past 30 years. He was a builder, drywaller, and landlord, having left his fingerprint on many buildings throughout the Mahoning Valley. Jim was an amateur boxing aficionado. He was a committed follower of Jesus Christ and a former member of Coitsville Presbyterian Church and Victory Christian Center. Jim was a dedicated father and grandfather, a towering personality, who commanded the attention of the room, always quick to make friends and tell stories. Jim will be deeply missed and always remembered by his children and their spouses, son, Wade and Charlyn Stankich and daughter, Sara and Joshua Reichard; four grandchildren, Briana, Cameron, Maria and Olivia; and a great-granddaughter, Gwendolyn. He was preceded in death by his parents, George and Margaret (Scribec) Stankich; his son, Eli Stankich; his siblings, George, William and Catherine (Frano) Stankich; an ex-wife, Sharon (Herring) Stankich; and a granddaughter, Cami Stankich. The Stankich family has entrusted their loved one to the care of the Wasko Funeral Home and will receive family and friends Friday, Jan. 18, 2019, from 3-6:00 p.m. at the funeral home, prior to the 6:00 p.m. funeral service. In lieu of flowers, the family requests donations be made in Jim’s name to Valley Christian Schools, 4401 Southern Blvd., Youngstown, OH 44512.